The holiday season especially Christmas has so much to offer every year. As you step into the online world, you realize there is so much to offer from shopping deals to giveaways and so much more. When you analyze and figure out if these advertisements strategies and campaigns are effective, you will be surprised. The shopping frenzy that happens during this season is astounding. 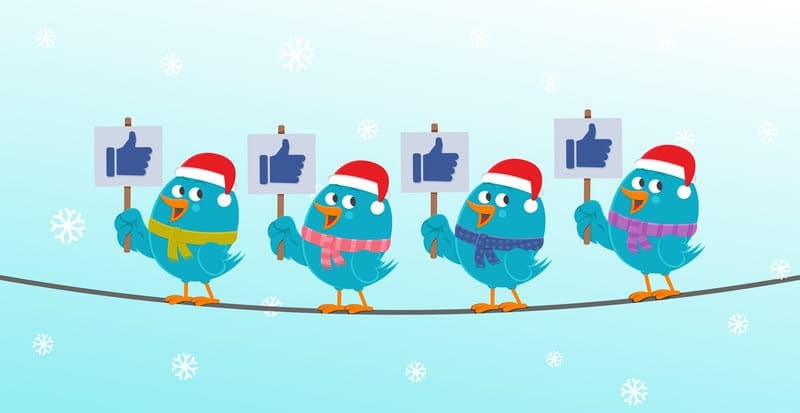 As it reaches late November each year, records have shown that through social media campaigning, businesses have gained tremendous exposure and their sales have increased tremendously. Though the marketing and campaigning spaces are a tricky one due to the fact that many businesses are fighting for their customers’ attention (especially similar businesses in the same industry), it is worth it at the end of the day. You may need to analyze the strategy used by your competitors and develop a more intriguing campaign to attract and keep your client and/or customers. How does this benefit your business? 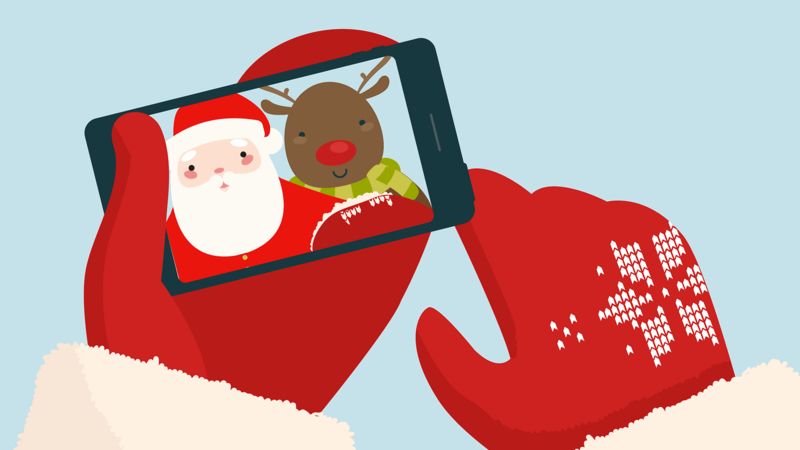 During the Christmas season, researchers have noted the views online are almost five (5) times the amount during the rest of the year. Interesting right? Creating a poll as a social media campaigning strategy will enable clients and potentials to help you offer them better services. They will highlight through your polls what they like and do not like about your offerings and ways you can improve going forward. In the long run, you will attract new clients as you work on offering a myriad of new and improved services and expand on your business’ profits. The contents of your polls have no limit and you decide what you want your target audience to tell you. 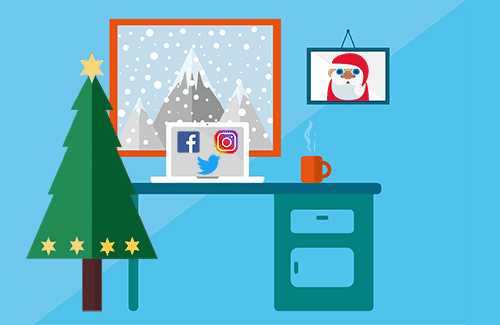 This is another way you can make the most out of social media campaigns during the Christmas seasons because as families come together, they share memories. Sharing a memory helps you and your business gain the interest of the wider public because they realize you have an understanding and connection with the season itself. They can make the connection between your businesses being authentic and engaging them as you offer them you’re various services. Your memory sharing strategy can come in various forms such as pictures, videos or even a story. A friendly tip: sharing a memory of how far your business has come since inception is also a good eye-catcher. They will connect with you and help you celebrate the social media growth you have experienced. Remember Christmas is a time of festivity and your social media campaigns must reflect this. But how? Going visual or graphics helps to attract and interest your target audience in a more intriguing way. The decorations presented around the world, the visual of a winter wonderland and more must be a critical part of your campaign to strike interest. Your theme will be in-line with the season and also be optimized with your business’ services. Also, the scenery of Christmas could be a backdrop for your posted content in showcasing all that you have to offer. For instance, creating a visual-based hashtag would allow you to quickly reach a target audience while you empower your services both directly and indirectly from the response it garners. Engaging your customers on social media is a sign that you are doing a good job to make them feel they did right in doing business with you. Engaging your customers will allow them to realize that you not only created an online presence but you did so for them. Remember social media is a platform for socializing among so many other things. A great way you can gain the trust of your potential customers is by bringing a touch of personalization to your posts. When you make your campaigns public and your customers start to engage, response thoughtfully. Personalize the response by mentioning their names and responding in accordance to what they’ve commented. Research has shown that many people feel more satisfied and part of a group when their names are mentioned on a post they’ve commented on. Let them know you see and appreciate them…this will go a far way for you. Not because you want to gain the love of your customers will you engage in a charity work but because you have a passion to do so. During the Christmas season, many charity organizations work efficiently in bringing joy to those who can’t afford to see it. As a business, partnering with one or more of these organization will allow your audience to see that from the profits they award you with the services you offer, you have a heart in giving back. Though many may see this as a trick to capture the hearts of individuals watching them, it can be considered a win-win situation. Bear in mind, when partnering with a charity, it will cause your business to spend (which many businesses don’t want to do) without really getting a profit in return. Not strikes home as festive more than a friendly competition on social media. 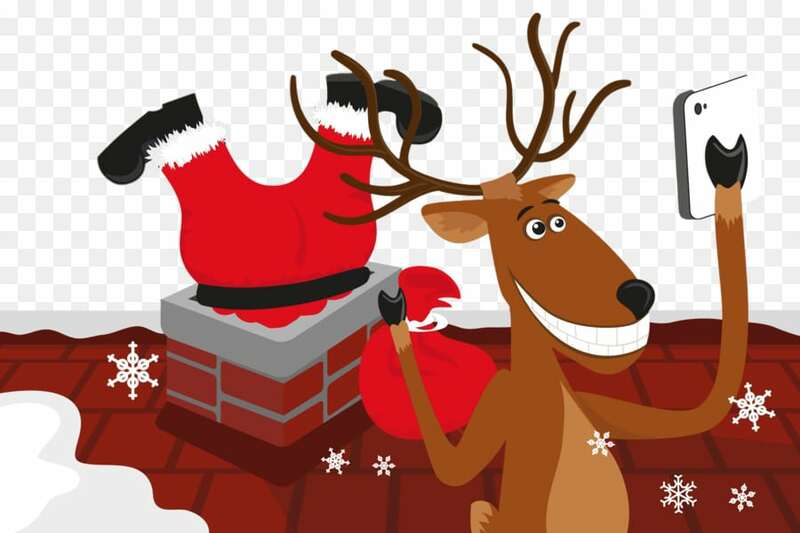 Christmas is known for its many offerings from businesses with gifts of all kind. Your business should not exempt itself from this as it will engage and attract your customers and potential in coming on board. As you create your campaign centered on a competition, you can utilize the opportunity to directly and indirectly “sell” your business to your target group. As noted earlier, the online viewership during the festive season increase dramatically so this would definitely mean more reach for you and your business. Your competition does not have to be limited and can even include rewards being services offered by your business. The tips listed above are applicable to all social media platforms to include Facebook, Instagram, and Twitter. They have been proven to be successful by lots of businesses to include small and large as well as across various industries. Once you have the know-how, you can go ahead and make the most of the active seasons or you can engage the services of social media experts to help you. These experts are experienced and trained in the services of boosting your social media accounts both in and out of the festive season. They have the tools and expertise to do the job for you. The goal of most business through social media is to gain brand recognition and awareness from the wider public. 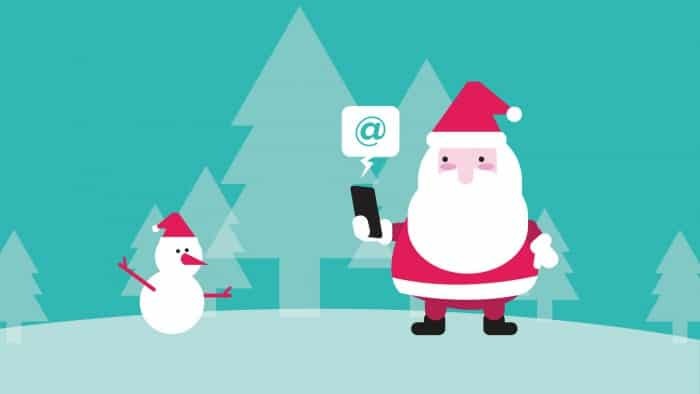 As the online viewership increases during the Christmas season, the marketing experts seize the opportunity in increasing your visibility through campaigning. Social media can be considered one of the most powerful channels that allow you to voice your brand and reach existing and potential customers naturally. These campaigns target the entire social media and not just your target audience. For instance, a user on Twitter can generally come across your ad in their newsfeed and strikes a sudden interest to learn more about your business and what it offers. Make use of the increased social media traffic to initially “sell” your brand to the world. A cool campaign always sells right! The services offered by the team of social media experts grants the benefits of converting your campaigns into sales. No matter the popular social platform your business is on, there is a strong opportunity to convert your customers and potential to learn more about your business venture and initially develop the interest to continue. No matter the campaign format you choose, whether text, picture or video, the graphic of your content will impact the viewership in a positive way. Also, your campaign through the aid of the social media marketing experts helps to engage the interaction of fans as well as urge them to spread the word to their friends and other users. However, bear in mind that not all interaction will result in a conversion. But with the increase in traffic over the Christmas holiday period, you can rest assured of a higher conversion rate than the rest of the year. A higher interaction rate means more chances of your brand being spread across other popular social platforms and the potential for further leads to be achieved. Over 90% of online viewership goes through social media platform and with that much traffic to your posts or ads, you can be sure of positive results. There is every target group you can possibly think of on each of the popular social platforms. With this, you can be assured of a single marketing option that is very effective and reduces the effort of advertising on multiple platforms. The single advertising option also reduces your cost of marketing and the team of experts will do all the works and processes for you. Advertising or starting a campaign on each of the popular social media platforms is relatively cheaper than most other advertising channels on the market. No matter how small you invest on the platform, you will reap benefits in more ways than one. Speak with a team of professional social media specialist today and let them help you market affordable to reap tremendous success. Now is the time to reach and keep your customers as your competitors are always striving for ways to beat you out. Having a strong support system like of team of media experts will aid you in building and maintaining a strong campaign that will hit hard against whatever your competitors sell. They will take your content and idea and make practical what you have in mind to achieve your goals. Designing new ideas work well as not everyone desires to have the same visuals presented all the time. When operating a business against a popular marketing tool like social media, it may take un-disturbed time. Having a team of social media experts will take the hassle out of your schedule to focus on other important tasks you need to accomplish. They will create your campaign, launch the campaign, manage it and also respond to the results it garners. The team will handle all the interaction on your account and communicate every detail that needs to be sent to you as the client. No matter the social media account that you have whether Facebook, Instagram, Twitter or any of the others, the team will do the job for you. 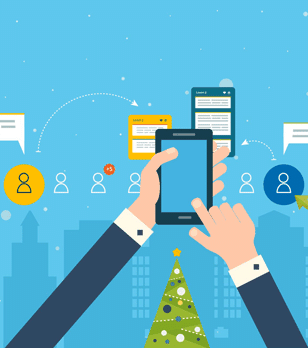 Make use of the Christmas season and the active engagement that will be played out on each social media platform. The traffic will grow tremendously and will result in a positive feedback for you and your business directly and indirectly. 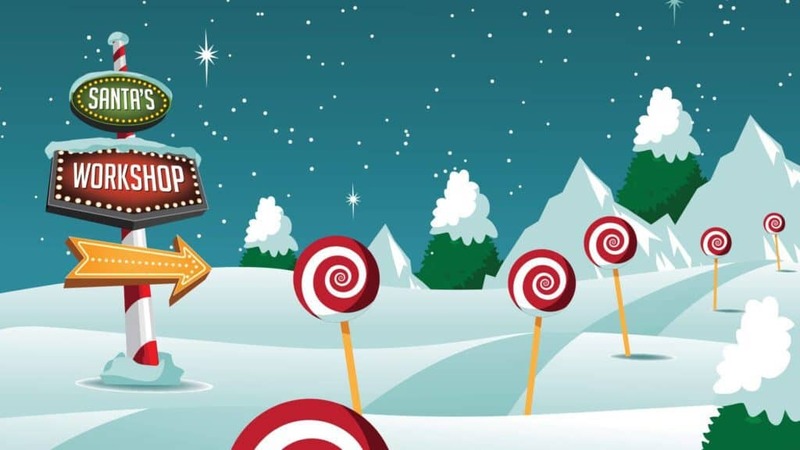 How to utilize the power of campaigning during Christmas is a big step that you need to take to improve the overall operation and growth of your company. With a team that knows how to do the job, the social media experts will take your business to new heights in success. Really like the competition idea. Never thought of that before. Def going to be implementing that one. Thanks!